You can determine the fiber content of yarn with a burn test, which entails burning a small piece of yarn and observing how it burns and the odor it produces. Wool is protein based and is slow to ignite. The fiber shrinks away from flame and produces a strong odor of burning hair. 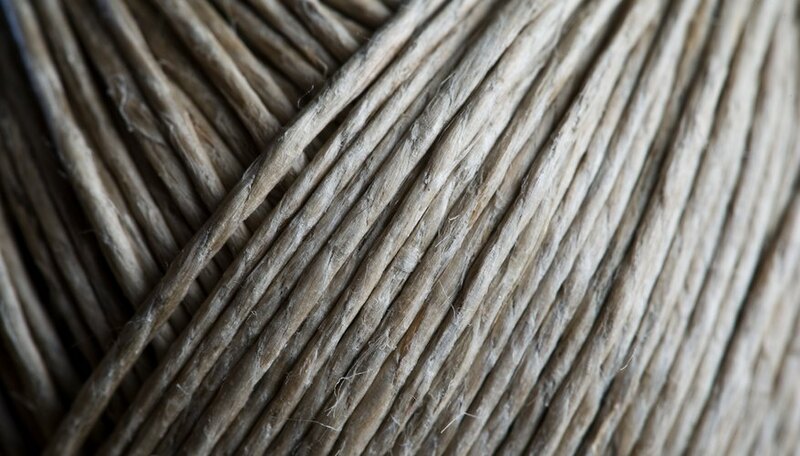 Yarn blends may contain synthetic fibers, such as acrylic, or natural fibers, such as cotton. For yarn blends, the odor produced during the burn test may be the best indicator of wool. Snip a four-inch length of yarn from the skein. Hold it with a tweezers, not your fingers, over a metal pan or bucket. Burn the end of the yarn with a lighter. Attempt to ignite the strand of yarn with the flame. Smell the burning yarn. If wool is a component of the yarn, you'll detect a scent similar to that of burning hair. Refrain from getting the hot yarn too close to your face or nose. Watch the yarn to see if it takes on a melting quality, or turns to ash. Determine if the yarn contains wool by whether or not the burned yarn turns into a black, hollow bead of ash. Yarn blends which contain many types of fibers may be difficult to test for wool content with a simple burn test, unless the blend contains a fair amount of wool. If you detect the odor of burning hair, even faintly, your yarn likely contains wool. The burned residue of wool is easily crushed into a grainy, black powder. Synthetic fibers mixed with wool may melt and result in a chemical or vinegar-like odor. A yarn blend containing wool and natural fibers will burn itself out if dropped into the metal pan. A wool blend with high synthetic fiber content may need to be put out with water, as the synthetic fibers will continue to burn. Never hold the yarn between your fingers while you are burning it. Be cautious of fumes produced by burning yarn. Perform the burn test on your yarn sample outside if possible, or near an open window.